We bring you in this article a too-common tale from Western countries of mother-and-baby shelters spying out vulnerable mothers to remove their babies instead of helping them. Very often such women have fled with their children from domestic violence in the home only to find their children removed by the very authorities they turn to for help. Though encouraged by the system to report abuse by a partner, once these mothers do so, they find themselves the target of child protection investigations that end with their children being taken away, especially if they are immigrants, impoverished or otherwise disadvantaged. This article was originally published in the Sunday Guardian on 17 February 2018 with the title A tragic tale of loss from the world’s ‘happiest’ country as part of our ongoing series in collaboration with them called ‘Global Child Rights and Wrongs’. Also read here another horrific tale of a woman deprived of three children one after another in England which all began when she reported a former partner for domestic violence. Another story, this one from Norway, of a mother-and-child temporary home facility betraying a young family is here. Kozue in Denmark, inset Kozue with her daughter. Photo: Mrutyuanjai Mishra. After my last piece for this SaveYourChildren.In and the Sunday Guardian about state-sponsored child snatching in Denmark and other Scandinavian countries, I was contacted by many people facing this tragic situation. One of the most poignant stories is of Kozue, a Japanese immigrant in Denmark. I write this just after returning home from having met Kozue, who sat in front of me crying while narrating the unbearable agony of losing her daughter to the Child Protection Services (CPS) in the richest county (commune), Gentofte, in Denmark. Denmark is a signatory to many international conventions, and when addressing an immigrant mother, the authorities in Denmark are obliged to have an interpreter present. But when Kozue received a letter to meet the CPS, there was no interpreter. She had only been in Denmark for three years, and her daughter had just been born. At the crucial meeting she was told things in Danish which she hardly understood and given a paper with complicated language to sign. Feeling under pressure she signed as directed without really understanding anything. Before she realized what she had agreed to, her daughter, just 7 weeks old, was taken away and given in custody to a Danish foster family. Kozue´s daughter is now 4 years old. She keeps telling me that no one would believe that such a thing could happen in a country like Denmark. Kozue is meek and gentle. As she sits before me speaking in her mild tone with tears rolling down her cheeks I see the painful heart of a mother deprived of her child. She keeps telling me that no one would believe that such a thing could happen in a country like Denmark. There are so many positive stories about Denmark in Japan that no one would believe that this happened to her. She, too, cannot believe that this is actually happening. the foster family demands that she speak only in Danish or English with her daughter. Under Danish law, it is incumbent on the authorities to facilitate contact between mother and child. Kozue tells me that her daughter misses her, and it is plain to see that Kozue too misses her dearly. But she is permitted to see her daughter only once a month for two hours. At each dearly awaited meeting, the foster family demands that she speak only in Danish or English with her daughter. There is no respect for the fact that she as a mother wants to communicate in a language in which she is fluent, and that her daughter has a right to know her mother tongue, Japanese. Kozue feels under surveillance at these meetings, with no privacy. The two hours pass by only too quickly and then she has the long wait for the next month’s appointment. No one seems to care that she is the biological mother of the child! Kozue comes across as a normal and nice person. She is not taking any medicine or drugs. She does not have any addictions. In photos of her with her daughter, it is clear they share a close bond. She tells me her life story, of how she was studying law in Japan, but quit her studies to take a job in the hospital sector to support her mother and brother. Her brother needed help to finish his own studies. She is a caring and responsible person. On a trip to Denmark she met and fell in love with a Dane. They married, and two years later Kozue became pregnant with their daughter. Sadly, Kozue’s husband turned out to be violent. She ran away from him while still pregnant, taking refuge in a women’s crisis centre (Kvindernes Krisecenter). Little did she know that she was walking into a trap. Kozue gave birth while living in the crisis centre. It is then that the CPS made contact with her. They started writing reports against her in Danish and barging into her room at all hours. She felt deprived of sleep. The stress and disturbance affected her milk production, forcing her to give the baby bottle milk. She said she felt as though she was in a torture centre – these are her words to me. Kozue believes that since she was alone, vulnerable and not conversant with either the language or the CPS, the authorities system deliberately targeted her to give away her child to a wealthy Danish family. Note that in Denmark, foster care is akin to adoption. “No social network” is often given by CPS in Scandinavia as a reason for finding single mothers unfit to parent. This was Kozue’s only fault, that as a foreigner, with her marriage to a Dane broken down, she had no network in Denmark. Being shy, Kozue did not have a wide social circle and was quite alone after becoming a single mother. 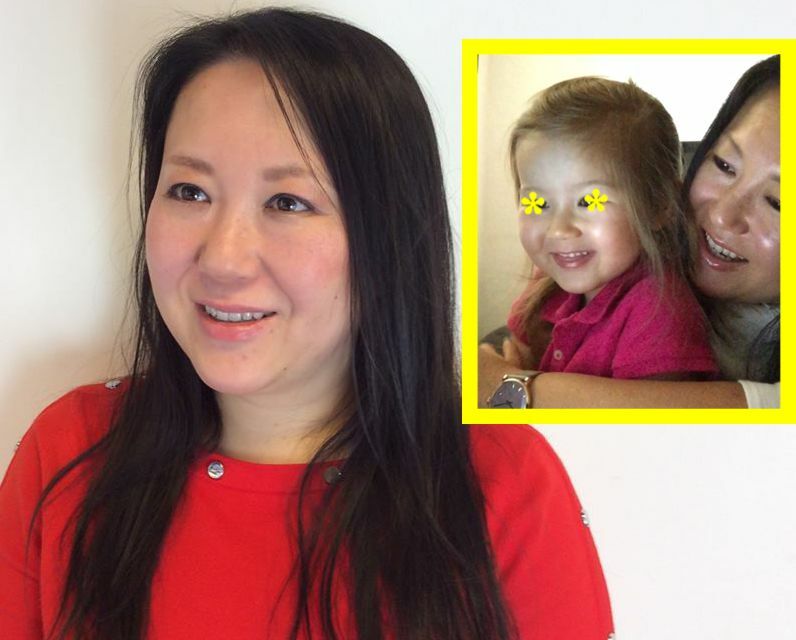 When she sought help of the Danish authorities after leaving her violent husband, Kozue had no idea that they could take her child away. Such separation of a mother and child would be unthinkable in Japan. She trusted the authorities. Trust is an important aspect of Japanese society. It is part of what makes Japanese society efficient and harmonious. Days, months and now years have passed with Kozue and her daughter being forced to live apart. No one came to her aid, expect for Erik Christensen. He was formerly employed in the Social Services and had worked on the scandalous state-sponsored removal of Inuit children from their families in Greenland by the Danish government in the late 1940s. He is helping Kozue take her case to the European Court of Human Rights in Strasbourg. When Kozue stops talking to wipe her tears, Christensen jumps in to say that he as a Dane cannot understand how this case went so far. He lists at least twelve conventions and laws that have been violated by the authorities. He has helped Kozue contact the Japanese embassy and they are hoping the Japanese government will take up the case. Is this an isolated case with no precedent in Denmark? No, says [former Social Worker and Human Rights activist] Christensen. Is Kozue an exception? Is this an isolated case with no precedent in Denmark? No, says Christensen. He tells me that he saw many cases when he himself worked in the Social Services seeing children whose lives were shattered because of forced separation from their biological parents. He has seen girls who sit for hours in front of a wall, totally apathetic after the forced separation from their mothers. He tells me of a case where the foster family has sexually abused the child in their care. Christensen says that he feels ashamed that Denmark which goes around telling the rest of world how to respect human rights, is not respecting one of the most fundamental rights: the right of a child to be with her biological mother. Kozue tells me she could never have imagined such a thing would happen to her in a country known for the best welfare state, with compassion for the poor, and with all that she had read about Denmark. She thought that patience and kindness would gradually help her convince the CPS that there was nothing wrong with her. But four years have passed with the Danish authorities unrelenting. One of the ladies working in the service (Sagsbehandler) from Gentofte County even told her that she could easily travel back to Japan without her child! Kozue is from a highly educated family and feels pressurized from all directions. There is some element of shame. Things like this never ever happen in Japan and Kozue does not even feel comfortable telling her relatives about what has happened. Kozue tells me that as an immigrant in Denmark it is difficult to convince the local authorities about anything. Kozue’s hope is that the media will take up her case, and some decent lawyer with expertise in this field will help get her daughter back. Kozue travelled to a Western country after having read that the grass is far greener and the flowers blossom there. She thought she had come to the “happiest” country of the world. Kozue is one of the unhappiest persons I have ever met, in the so-called happiest country of the world. Breaking! UK Snatches Indian Children Over Parents’ Dispute With Local Authority.